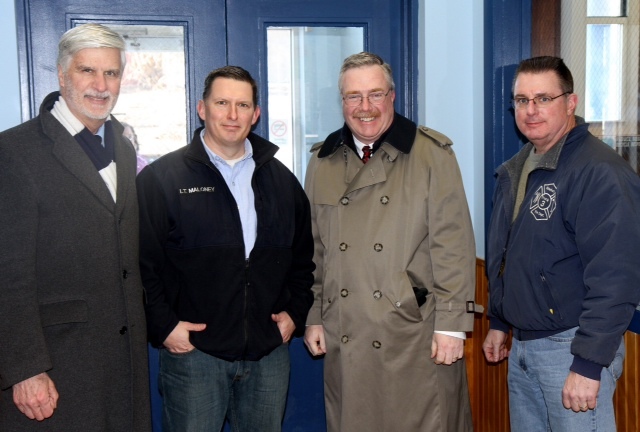 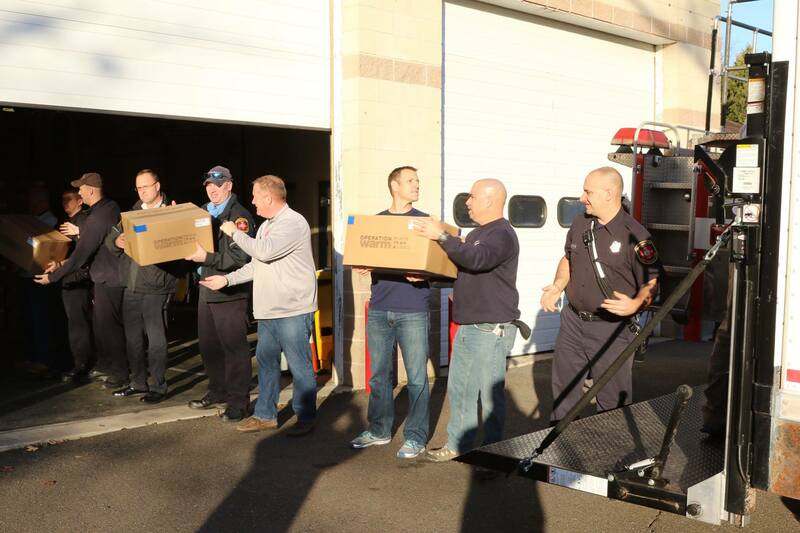 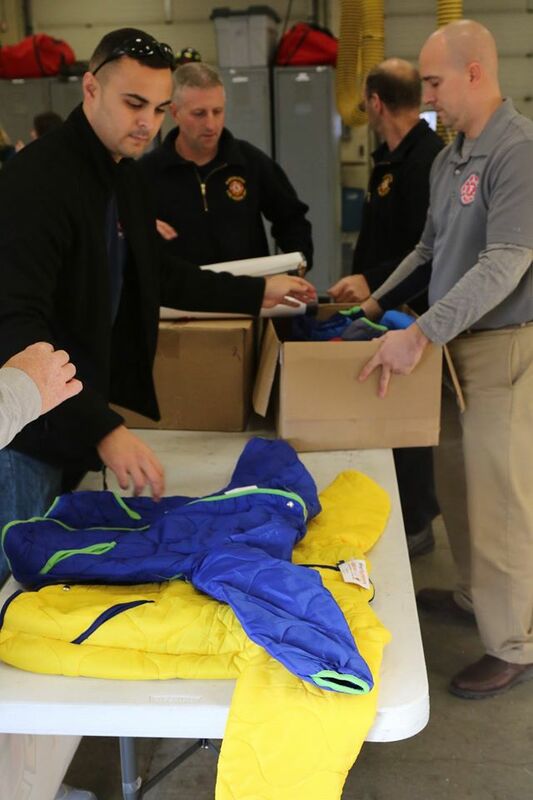 Photo L to R: West Hartford Fire Fighters Mark Bassett, Mike Boivin, Anthony R. Leca, Captain Keith Byrne & UPFFA of Ct. President Peter S. Carozza, Jr.
Waterbury Firefighters distributed 50 winter coats at the Greater Waterbury Boys and Girls Club on Friday. 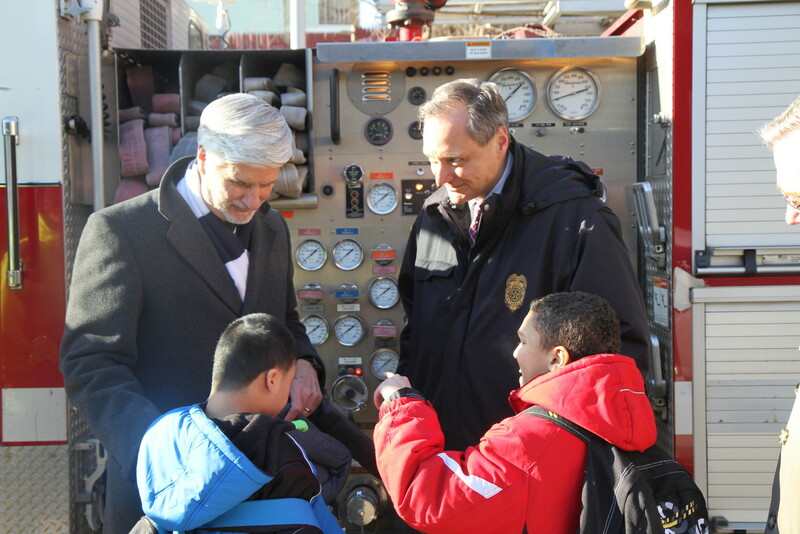 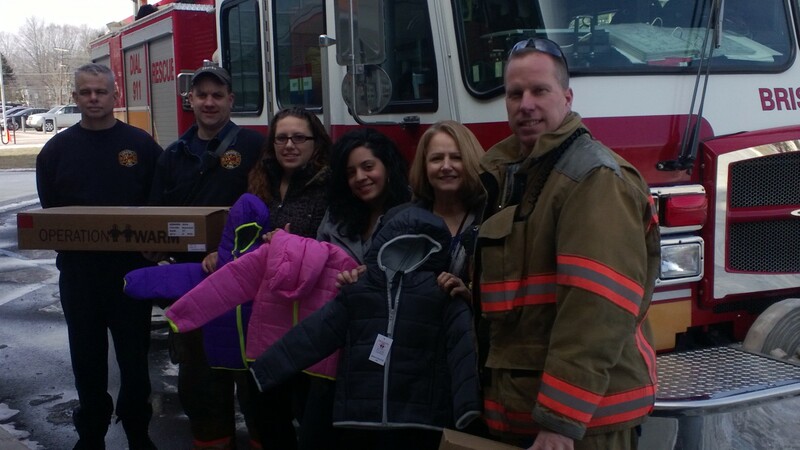 "Firefighters Coats For Kids" is a community outreach program designed to provide brand new "Made in the USA" winter coats to children in need. 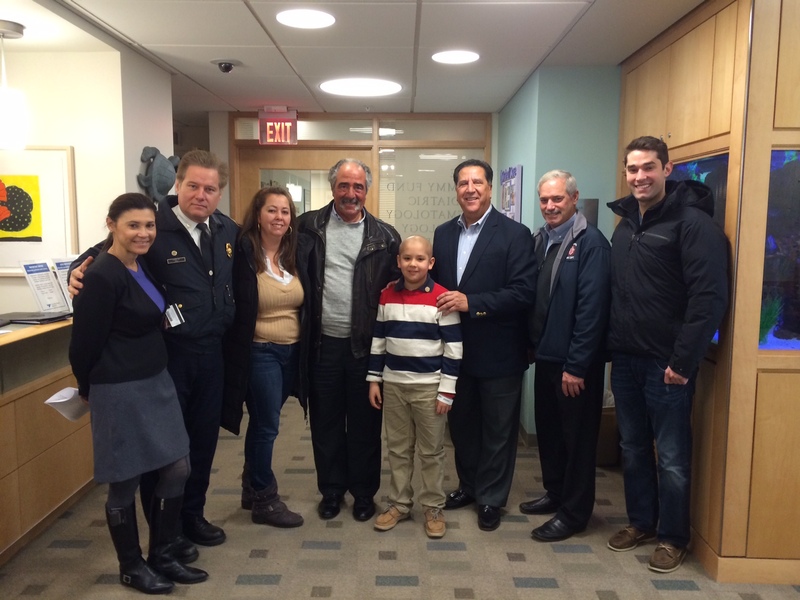 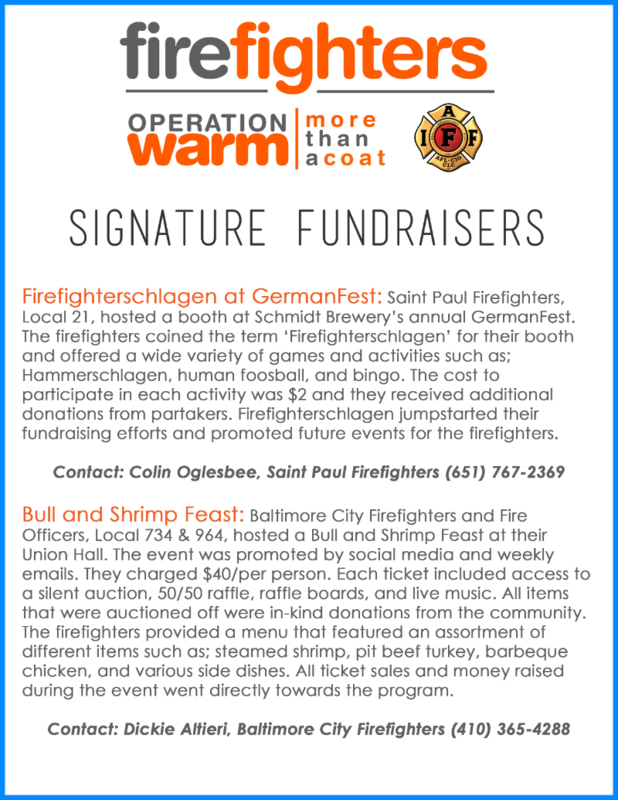 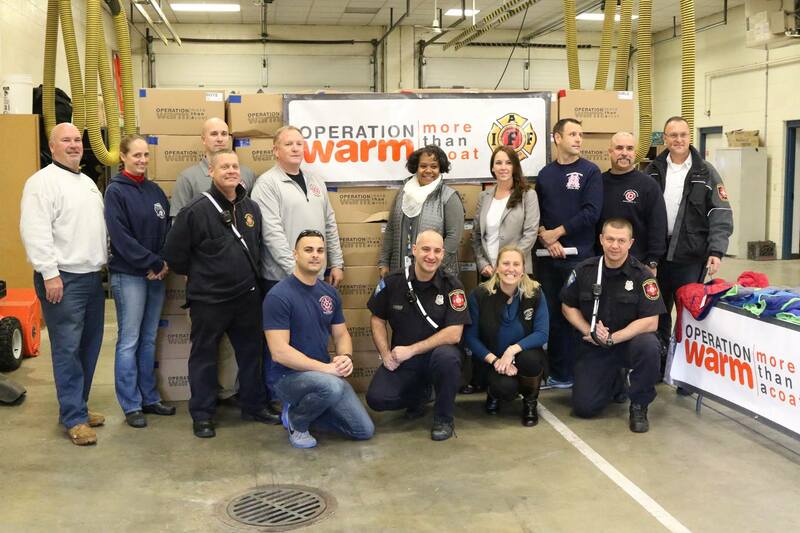 We are proud to support this cause in partnership with Operation Warm and the IAFF. 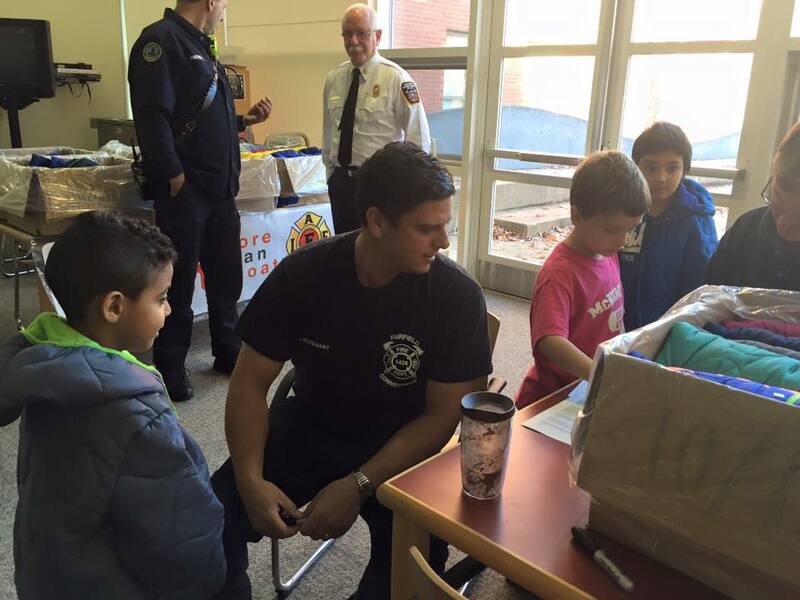 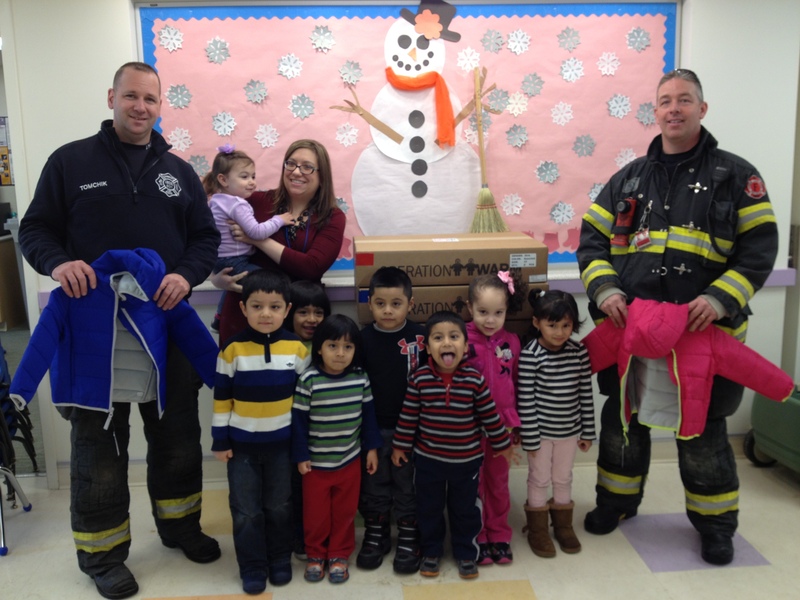 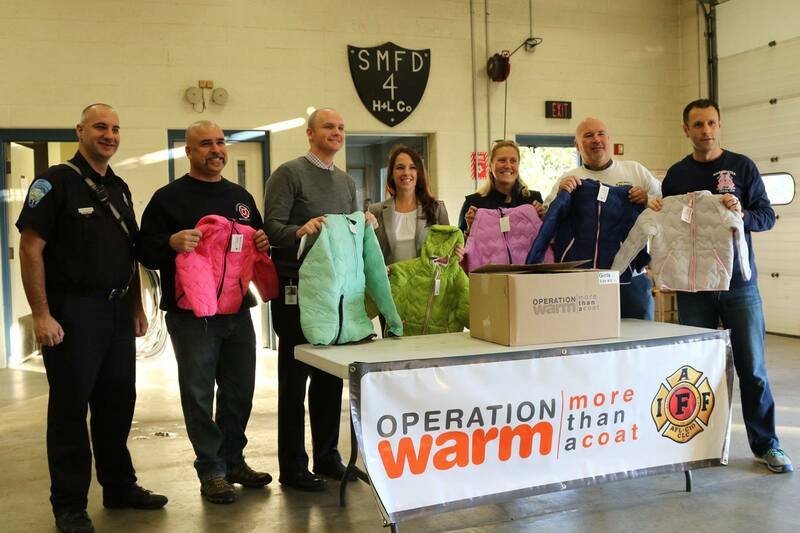 Manchester Fire Fighters, Local 1579, IAFF 1579 members participated this year in Firefighters Coats for Kids/Operation Warmth. 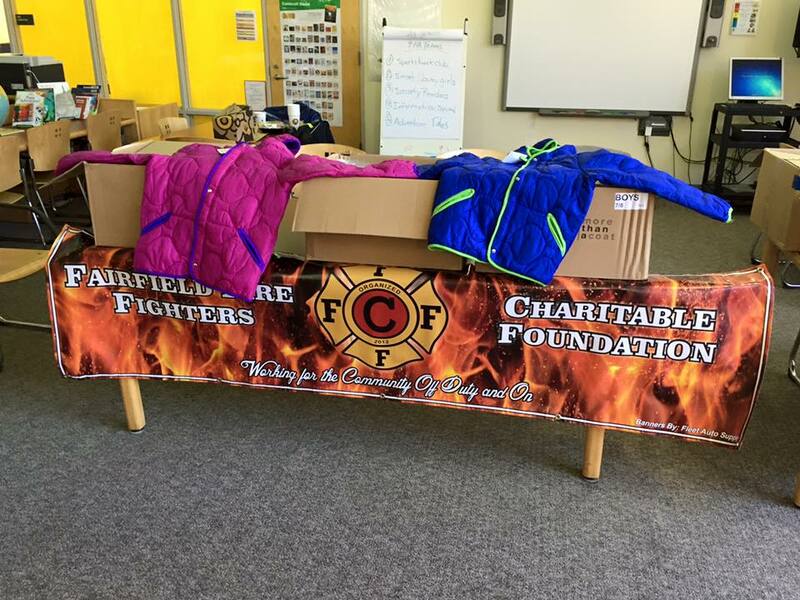 A golf tournament was held to raise money alongwith donations from Highland Park Market, Trinks Brothers Oil, Manchester Federal Credit Union along with support from Manchester Fire Rescue EMS Dept, Board of Education and Family Resources. 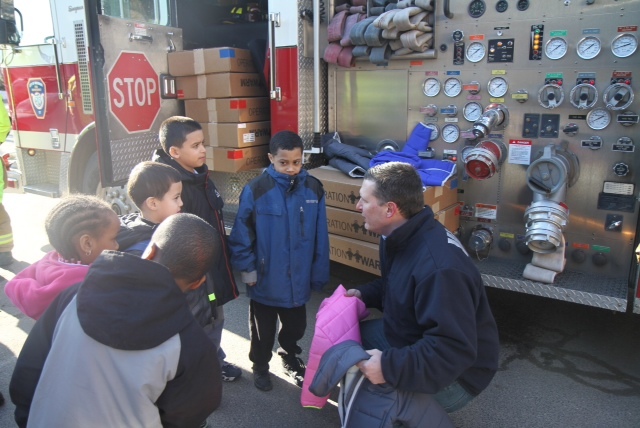 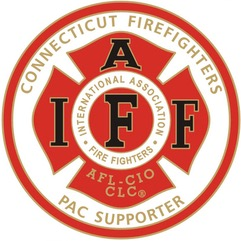 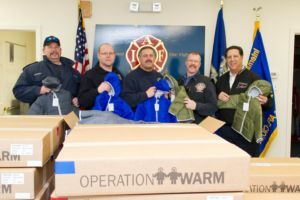 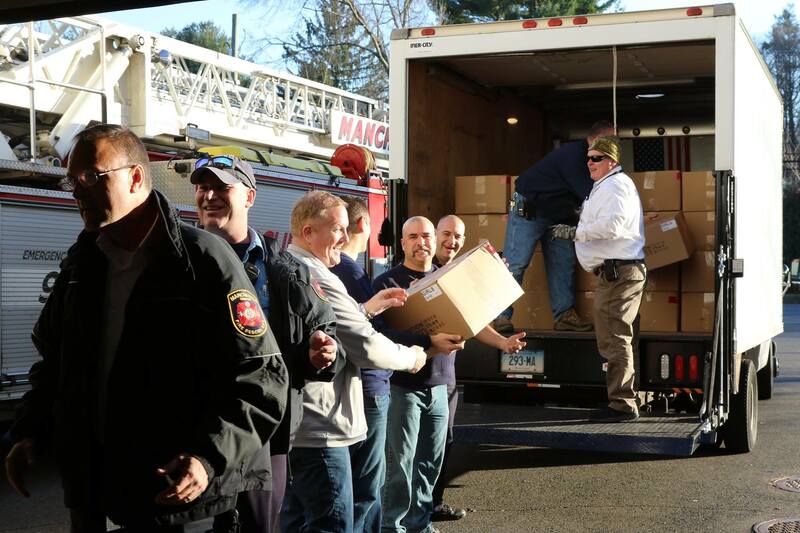 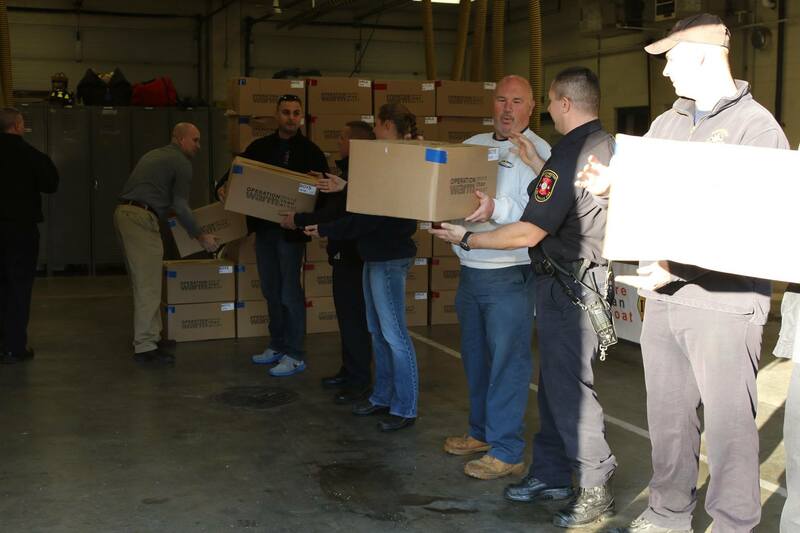 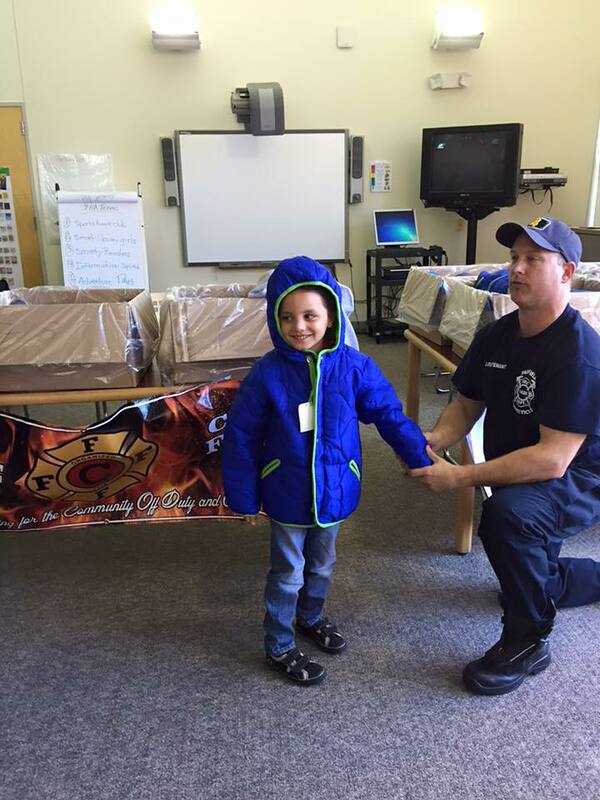 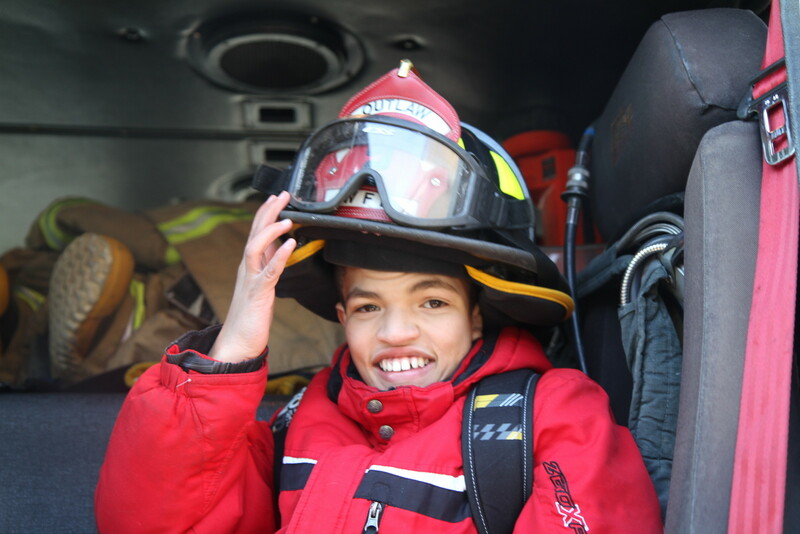 New London - The fire department on Monday delivered more than two dozen new winter coats to the Thames Valley Council for Community Action Inc. as part of a statewide effort by the Uniformed Professional Fire Fighters Association of Connecticut to reach out to children in need. 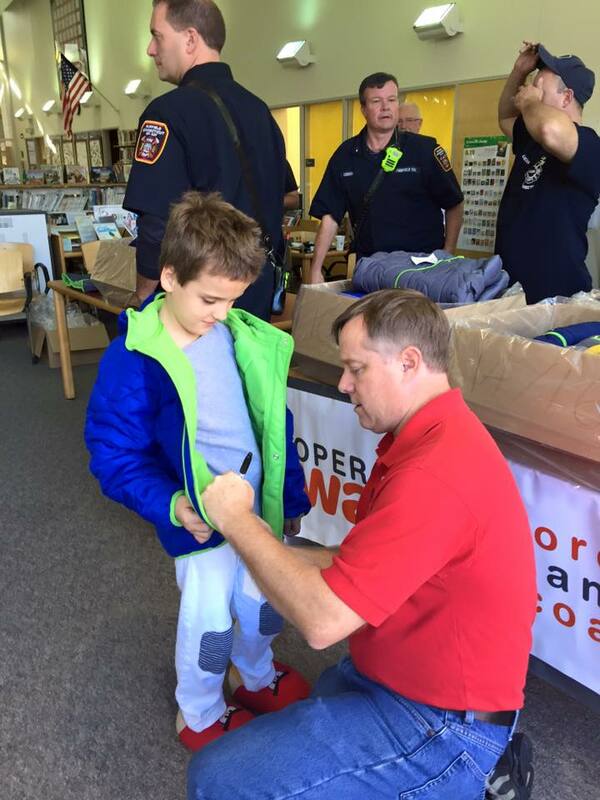 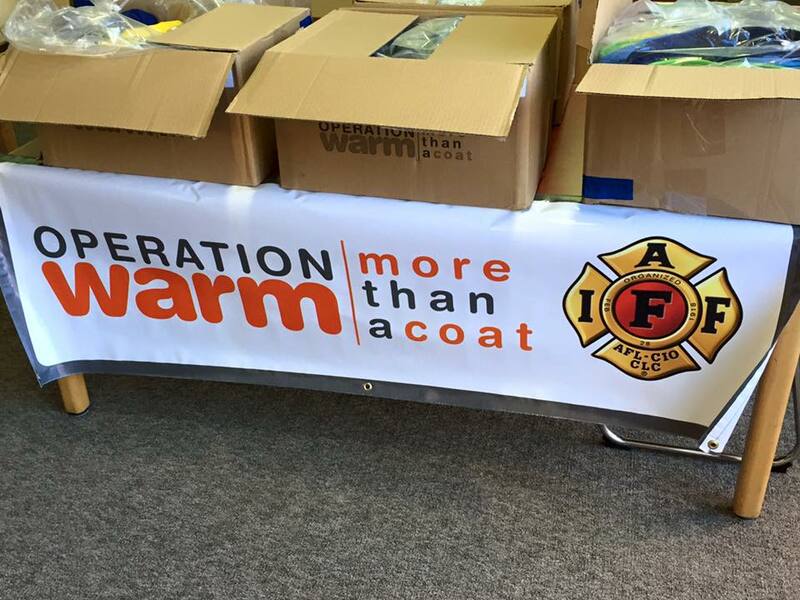 The union partnered with the national nonprofit Operation Warm to distribute 350 American-made coats statewide.